If you have ever wished you were more organized, that you could get to appointments on time and you never forgot an event again. The answer is really simple, you need to take control of your life by using a diary, calendar or a daily planner to ensure that you remember the important events and make the time to arrive early, so you can be composed and not rushing around and wishing you had left 5 minutes earlier. How you use your planner is individual; some people like it small and write the bare minimum down, whereas I like to go to the other extreme. Mine is by no means perfect but I like to write, so it is often filled with information, even notes that I like to cross off when I have completed them. Since I do work from home I don’t take my diary with me; I have made a conscious effort to leave it behind this year, it stays within reach of my desk, and is there when I need it. However, this is not to say that next year my planner might be smaller and becomes a part of my traveling around. 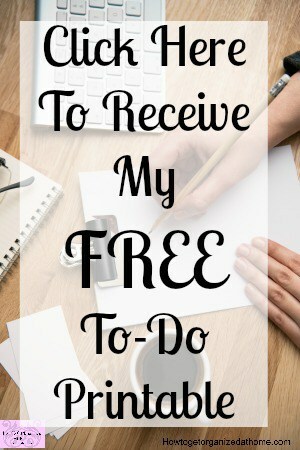 I have noticed over the course of my life, there are times when the planning is not why I am struggling with organizing, but how I view the tasks. My mind becomes entangled within life and I am unable to move away from very deep thoughts; they have kept me from being organized and I can notice that I feel overwhelmed by the thoughts and ideas and yet nothing gets completed. It is about breaking down the mental barriers that can prevent you from seeing clearly, it is not an easy task to manage and if you need support to break down the walls it is important that you have professionals you can talk to. Sometimes it is the thought of a task and a presumed amount of time you consider that it will take. When you perform the task it is quite often surprising how quickly the task gets completed. Having a mind that stops you from completing your needs, your dreams and your goals is not easy and can feel like you are having a fight with yourself, but perseverance of becoming confident in your own abilities will allow you to move forward. However, if you are a list builder, you can be sabotaging yourself without realising. This is by creating too big a list with which you expect to complete. There is the extreme where there are too few items and a little push and move away from procrastination can help to focus the mind. However, if you put too much on the list, you can feel deflated by not completing the list. Working out the optimum amount of work you are able to do each day is important, it gives you the tools to get the jobs complete and still have time left to relax and unwind. Therefore, if you are wanting to become organized, you need to track task and your time in a diary or personal planner, which is just one option that will allow you to track your day.